I was reminded of the first come first serve attitude. In 2018 I saw many large stadium shows, for the first time ever I might add! From Ed Sheeran and Taylor Swift I was lucky enough to get my hands on some seated tickets. But in the end I will always enjoy a great moshpit! Being right in the middle of the crowd amongst the sweaty dance floor is what it’s all about! I mean could you call yourself a music fanatic if you have never experience this type of sensation! Apart from Dan singing to me right in front of my eyes. It’s bands like Bastille who I appreciate going against the odds and break the 4th wall. From singing on stage, to involving the crowd to drop down low and then jump in sequence when the beat drops, to a surprise pop up in the back of the venue in the heart of the seated crowd. Bastille know how to give every person the opportunity for the best seat in the house! Even announcing some Aussies rooted influences in their upcoming 2019 to be released junior album. Which I am excited to give a lists Never change boys, never change! 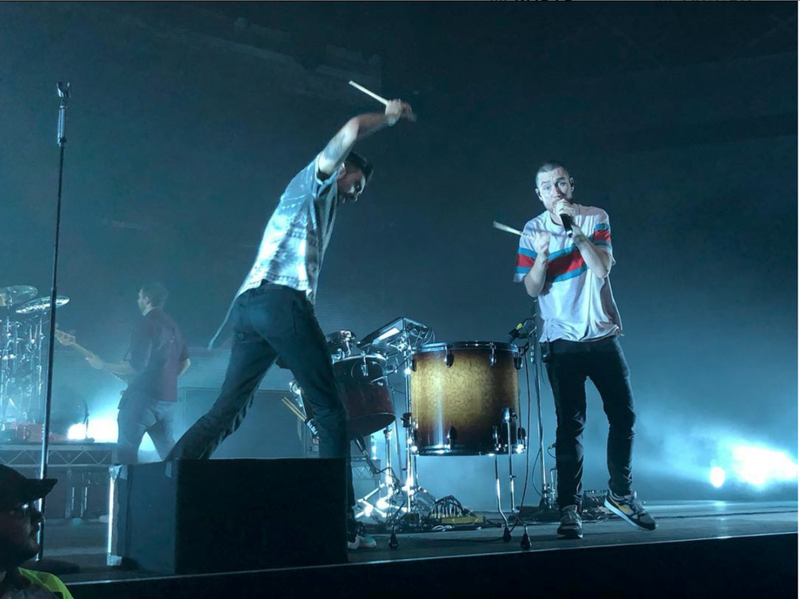 Let me know in the comments your favourite Bastille song. Do you prefer mosh pit or seated tickets, or is there a concert you’ve got lined up this year that you’re super excited for!